Our credit repair leads are available for either live transfer, real-time email delivery or cherry pick from our enormous database. These are consumers who want help in enhancing their credit score. Our exclusive leads are utilized by firms and experts around the globe as a means of talking with potential customers who indicated they are interested in credit repair services. This assists organizations attain a more efficient closing rate and also maintain a high ROI. ​If you are a buyer and interested in buying leads from external parties, there is a chance that you will end up buying shared leads which are sold multiple times. 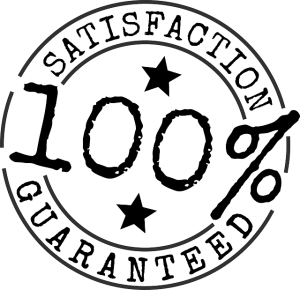 Unlike other providers, Leads Junction offers you 100% Exclusive leads, GUARANTEED. Once our lead is delivered to a client we do not sell that lead to any other buyer. A lot of companies who provide these facilities offer different plans. It is up to the sales representatives to give accurate information and also provide a legitimate service while working together with potential customers. This will keep the client happy and also establishes a strong reputation for the organization. Many businesses are facing a lot of struggles. Many believe that these struggles are due to a poor, overcrowded economy. However, agents are not as productive as before because they believe that they have hit a wall when it comes to people to sell their services to. But due to pressure these agents might not be doing it right, they might be looking in the wrong places for the wrong leads, or they might not be looking hard enough. A lot of them are still using old cold calling techniques that don’t work anymore. They show up to the wrong group of people, expecting to get a sale. These agents end up over working the same leads, therefore making no sales. Lead generation is a game of numbers, and the main aim for those leads is to be quality leads of the right demographic so they can be converted to sales. Simply put if there are no good leads, there are no sales. We have all seen companies that plateaued in growth after a while or even lost money because all their leads have been exhausted. They spend all their money on new lead generation methods that don’t work or are not guaranteed. ​We offer pay per leads to our clients who is looking for buy leads via email. ​We charge on only successful live transfer call to your sales team. Our Pay Per Acquisition ​pricing depends on your custom requirements. How are the leads obtained? We publish pay-per-click and social media ads via the internet that catches the attention of consumers who are in need of credit repair help to our lead generation websites. If the user signifies they possess poor or fair credit our questionnaire asks “Do you need help enhancing your credit rating? If the reply is in the affirmative, that makes it a lead. We make outbound phone calls to prospects that have earlier requested help to build up their credit score. We contact them via a live operator, verify their interest, qualify them and send them over to your closures. Call us for more info and current pricing. There are various kinds of leads for sale. All our leads are 100% exclusive and real time, and we never resell our leads to other buyers. Our exclusive credit repair leads helps attain an increased probability of closing a sale, as a result of no competition. How Does Credit Repair Lead Generation Work? Outsourcing leads is a simple but effective lead generation method; Leads Junction utilizes different methods that only has a sole purpose of generating leads. They are trained telemarketers that use their skills to find the right group/demographic to generate the right leads. These are fully equipped call centers with full-time callers that will keep generating leads for your company using different databases and strategies, proving to your agents that not all leads have been exhausted and that there is plenty of fish in the sea. A lot of credit reports alteration victims are looking for a company, that takes care of negatives on their report for the right fee. Our centers will call people from different zones and places to spread the word on behalf of your company; they will set appointments with as many potential customers as they can, so the salesperson working for Leads Junction can land a sale and boost the company’s performance and profits.